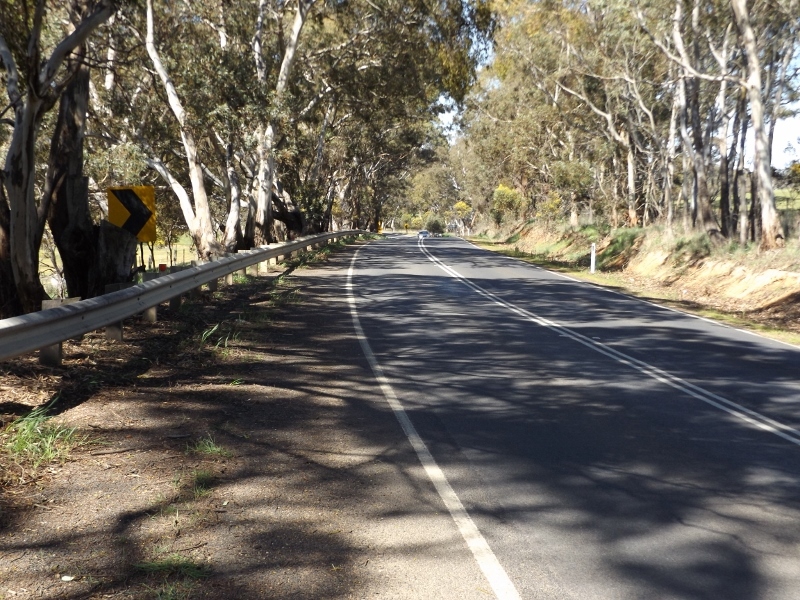 VicRoads seem intent on removing the character of beautiful country roads, these days preferring to refer to trees using the engineered term “roadside obstacles.” Between 35 and 100 roadside trees which are mainly Yellow and Red Gums are in the firing line along the scenic route from Ararat to the Grampians. If safety is really the issue, why can’t VicRoads specify more sensible speed limits on picturesque country roads, rather than a full assault on the environment? This entry was posted in Uncategorized and tagged Cathcart, roadside tree loss, roadside vegetation, VicRoads. Bookmark the permalink. 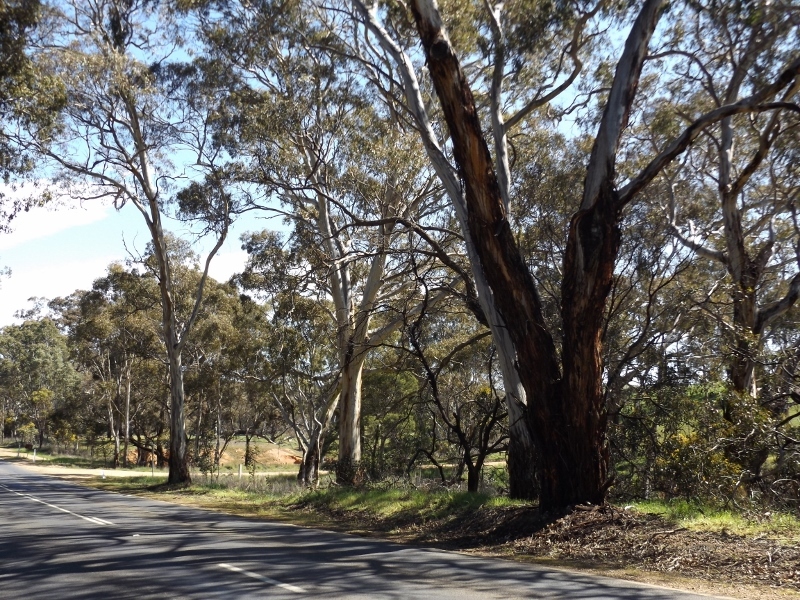 4 Responses to Roadside trees at Cathcart to be removed by VicRoads? They may be installing wire rope and/or Armco metal barriers. VicRoads has received a lot of funding from the TAC (a State-owned insurance company) to remove trees on roadsides around Victoria. So VicRoads will naturally continue removing trees. What is needed is independent oversight of the statistics they use for these projects. They also need to weigh the statistics against the many values of roadside trees. At present they don’t value them in dollar terms at all. VicRoads has always resisted that. An appalling situation. This all looks like a job creation program for VicRoads. The VicRoads solution is to install a wire rope barrier, necessitating a planning permit to remove native vegetation. This has caused a delay of many months on the safety project, much extra cost to obtain vegetation offsets, and many stringent conditions in the planning permit. On the other hand if they’d adopted the same standard as applies on many kilometres of the same road, i.e. well designed Armco barrier, then there would have been no need for vegetation removal, and the whole project could have been completed by now. Short sections of Armco barrier can easily protect the groups of trees now under threat, compared to the long runs of wire rope barrier which will be required under the current proposal. So why not use a more effective barrier and keep the vegetation. This doesn’t stack up on either ecological or economic grounds.